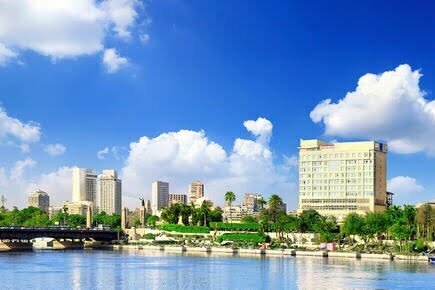 (1) Cairo University School of Medicine – The Kasr Alainy Medical School is part of Cairo University, and is one of the largest, oldest, and most prestigious medical schools in Africa and the Middle East. (2) Alexandria University – The Faculty of Medicine at Alexandria University has won Hamdan Award for the best faculty of medicine in the Arab world, in recognition of its role in the field of medical and educational services as one of the old faculties. The Faculty of Medicine offers Master and Doctorate degree programs in the Basic Sciences as well as Diplomas, Master degrees and Doctorate degrees in the Clinical Sciences. (3) Mansoura University, Faculty of Medicine – Mansoura School of Medicine is the home of excellence in medical education, research, healthcare and community services. The vision of Mansoura Faculty of Medicine is to be ranked internationally and achieving excellence in medical education and research. (4) Ain Shams University – The Faculty of Medicine was constructed in 1947, to be the third medical school in Egypt. Postgraduate degrees offered include the Master Degree in Medicine, Master Degree in Basic Medical Science, Doctor of Medicine: (minimum 2 years; courses & thesis). (5) Assiut University – is a University located in Assiut, Egypt. It was established in October 1957 as the first university in Upper Egypt. (6) Kafrelsheikh University – is an Egyptian university established in 2006, located at Kafr Elsheikh, in the middle of the Nile Delta. (8) The Faculty of Medicine, Suez Canal University (FOM-SCU) – It was established as the first community-oriented/based, problem-based, student-centered medical school in Egypt. FOM-SCU has been designated as a WHO Collaborating Center for health manpower development since 1978. It is one of the founding members of the “Network of Community Partnerships for Health through Innovative Education, Service, and Research”, now called “Towards Unity for Health” (TUFH). (9) Minya University – was established in Minya, Egypt in 1976 by virtue of Republican Decree No. (93), separating it from Assiut University. The campus is north of Minya. Its emblem is Nefertiti‘s head. The faculty was established in 1991. The faculty comprises 31 departments, ten of them are specialized for the essential medical sciences and 21 departments for the clinical sciences. The study at the faculty is six years and one training year for the resident doctors. The faculty grants the diploma in 17 programs. The faculty grants the master degree in 21 programs. The faculty grants the PHD in 21 programs. The staff members are 220 and 239 staff members’ assistants. 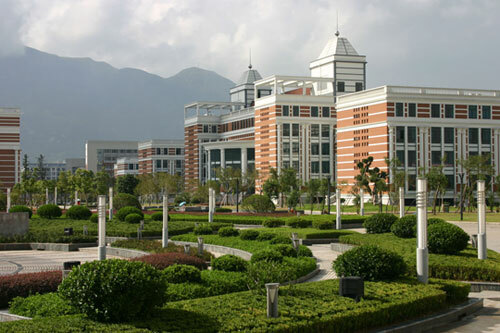 The faculty comprises four buildings in addition to the university hospitals.